A documentary, filmed over two years across Australia, highlights the unusually high prevalence of rheumatic heart disease among the nation’s Indigenous community. It focused on remote communities in the Northern Territory, where about 98 per cent of cases are Indigenous, and of those 58 per cent were aged between five and 14. It then takes a look into the lives of four young Indigenous Australians diagnosed with the chronic heart disease, highlighting a gaping healthcare hole in the Top End. Darwin-based paediatric cardiologist Bo Remenyi said rheumatic heart disease was 100 per cent preventable. “Rheumatic heart disease is a disease of poverty,” Dr Remenyi told SBS News. “In Australian context, it’s related to poor housing, overcrowding, poor education. Rheumatic heart disease is the end result of a contagious strep-germ throat infection that has been left untreated and advances beyond acute rheumatic fever. Dr Remenyi said she feared the condition had been normalised in the Top End, where high rates of Indigenous children were diagnosed. 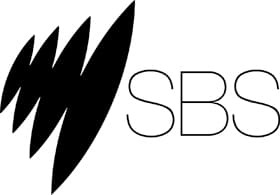 Link to original story on SBS Website.